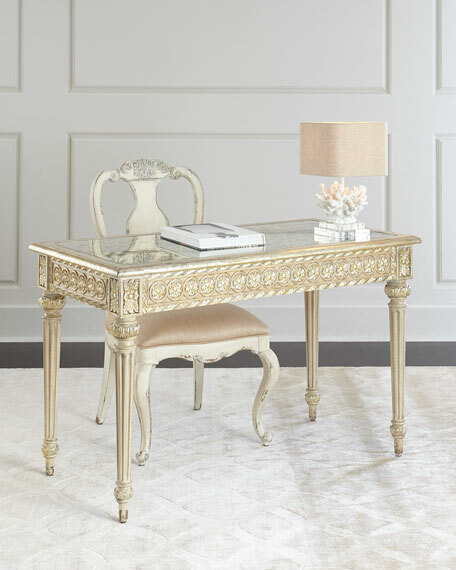 Designing A Chic Office Space. Here at Lush Fab Glam, we have the luxury of choosing our work environment and there are days when we work from home, head over to our favorite cafe and even the park but it is just as important to have a designated home office where we can brainstorm new stories, write new blog posts and complete projects. We are currently in the planning stages of designing a new office space and have been drawing inspiration from across the web. 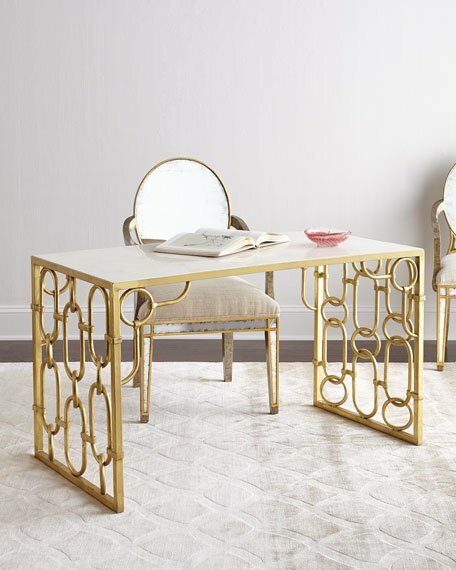 Below are some of the design elements, furniture styles, decor pieces and more that we are loving so far. 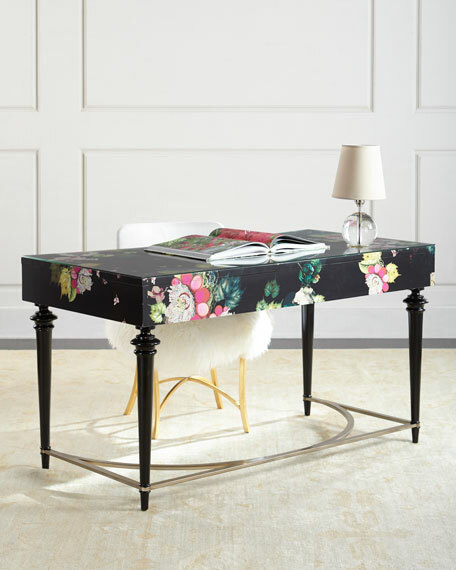 Read on to see them all and to gain inspiration for updating or designing your own chic office space. 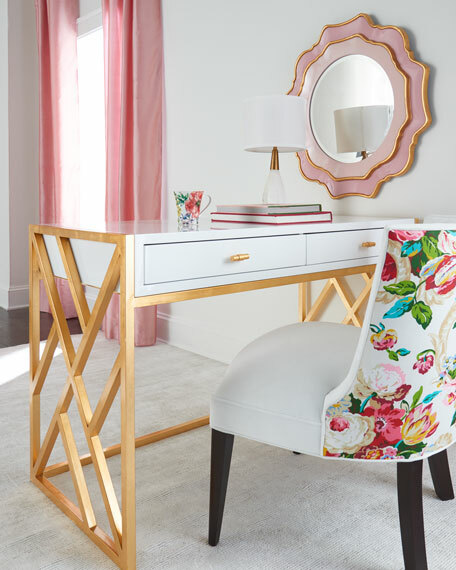 Whether you work from home or have a designated office space, your work area should inspire creativity, have a calming aesthetic and most importantly suit your design taste, while reflecting your brand. The three steps below will help you to design and create a chic office space that you will love spending time in! 1. First choose the type of office space that you would like based on whether you gravitate toward a modern or traditional design. 2. 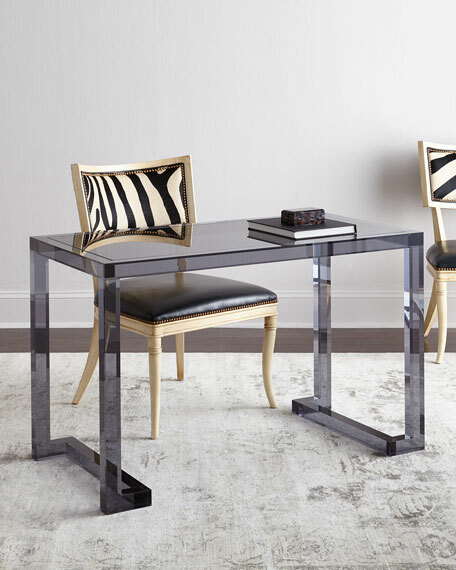 Once you've zeroed in on a design style, you can choose your office furniture and decide whether a wooden, glass, Lucite, or metallic desk will work best. Add color using wall paper, chairs and wall art. Have fun with patterns by choosing an eye catching rug. Add texture with curtains/ blinds and throw pillows. Think out-of-the-box by choosing a more relaxed and casual meeting space instead of the corporate round table. Below are some fabulous examples of how to use the tips above to design a chic office space. The square footage in most offices are often limited that's why it's important to design a multi-functional space with a designated area for relaxed brainstorming, casual meetings and interviews. Shelves serve as an eye-catching backdrop as well as storage and display space. While accent chairs, a love seat or chaise provide extra seats. 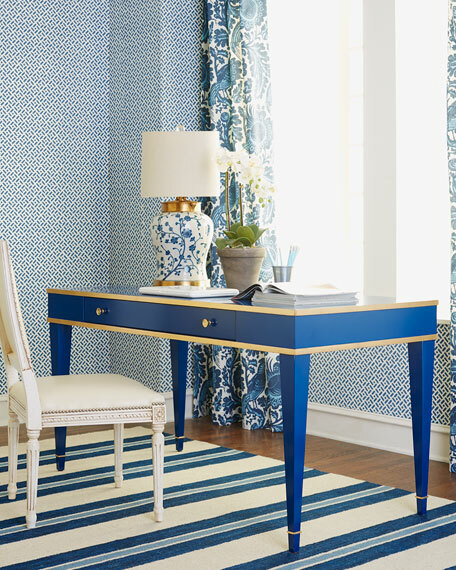 Get The Look: See more fabulous office spaces not featured above by browsing through the gallery below. 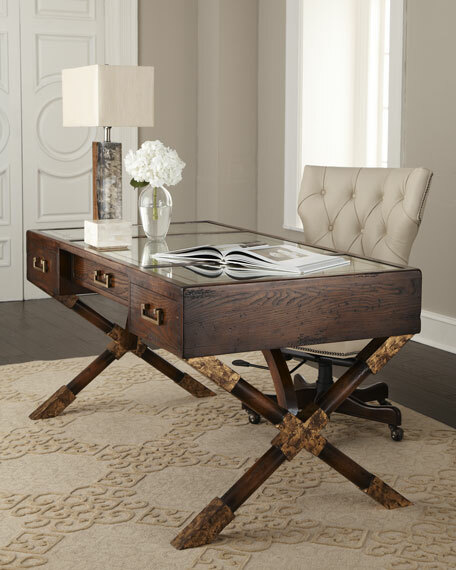 Plus get product details and shop the featured office decor by clicking on the images. Stay tuned for more fab tips on designing a chic office space where we will delve into choosing your lighting, organization essentials, desk top decor, chic office supplies and how to make your office stand out with fabulous wall decor and more. Happy Designing! Do you prefer a traditional or contemporary office space and which featured office design do you love? Share with us by leaving a comment below. I love all these design ideas! So beautiful! I love everything! I need to do this. Well, I need an office first. Maybe one day! I love the blue office. It is fab! I am inlove! I love them all it's so hard to pick a favorite! It makes all the offices at my job look so boring!! I like my office space simple yet lively. I don't like a dull looking office especially at home! These are great tips! There's nothing like an office that look organized and neat. I like color coding mine because it's easy on the eyes! 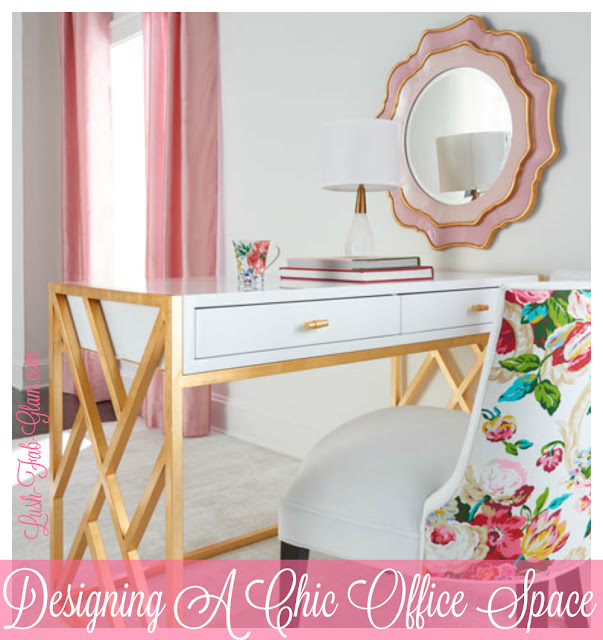 Awesome tips for decorating your own office space especially at home! These are all looks beautiful I want one for my office room. Wow, love all of these. I will redesign my home office setup! I love this! We are moving office buildings in November and I get an office all to myself! It's huge! I can't wait to decorate!!! I love almost all of these. I am in the process of finding an apartment and want to have a designated mini office space because I'm extremely unproductive working in a bed. I've also taken special care to boost the aesthetics in my office at my school. Pinning for future refereence!